Northern New York is a hotspot for Western bean cutworm (WBC) primarily a pest in field corn, but one that can also impact legume and dry bean crops. With a Northern New York Agricultural Development Program grant, the Cornell Cooperative Extension North Country Region Ag Team expanded the WBC Trapping Network farther into the Northern New York region. Traps were added at locations in Clinton and Essex counties in 2018. Northern New York trapping sites reported 22 of the highest 25 WBC moth trap catches for the state in 2018. A report on the expansion of the WBC Trapping Network in Northern New York is posted on the Northern New York Agricultural Development Program website at www.nnyagdev.org. Data from the traps alerts growers to begin scouting their fields for the risk of WBC and corn ear damage by WBC larvae. Monitoring this pest facilitates early treatment intervention at lower levels of WBC and can help limit crop damage. The WBC Trapping Network is a program of the New York State Integrated Pest Management Program. Pheremone traps are deployed to capture WBC moths in July and August. The trap catches are identified and counted to help indicate peak flight and fields at risk for WBC damage. “Because trap counts can vary greatly over just a few miles’ distance, it was determined that placing more traps in Clinton and Essex counties was warranted,” says project leader Kitty O’Neil, Ph.D., a Cornell Cooperative Extension field crops and soils specialist. “We saw differences from 470 moths in one trap to nearly 2,500, the highest for anywhere in the state, in another trap just 11 miles away one year. 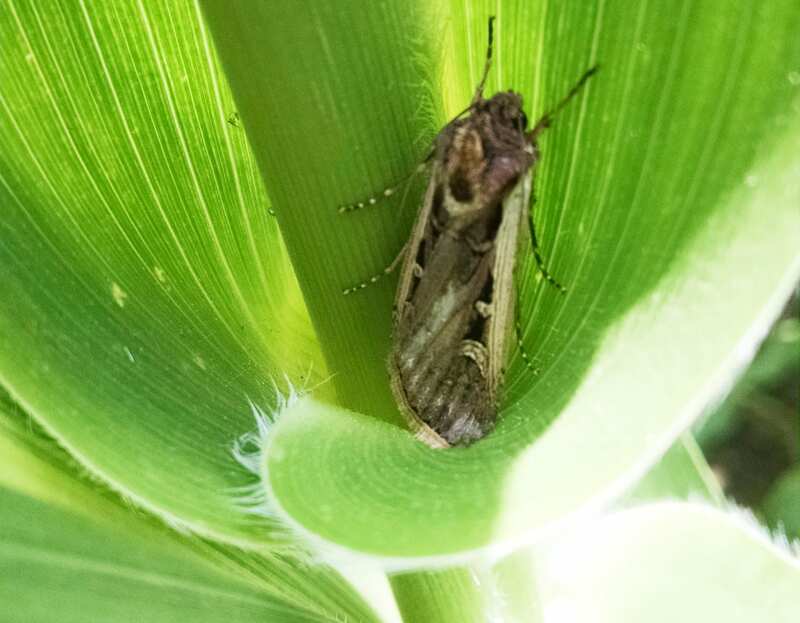 Western bean cutworm populations continue to increase in Northern New York, requiring close monitoring and future management of this insect pest to prevent yield and quality losses,” adds Michael E. Hunter, a Cornell Cooperative Extension field crops specialist. Traps were deployed in 2018 in areas of dense corn production across Northern New York near Beekmantown, Champlain, Chazy, Ellenburg, Ellisburg, Moira, Mooers, North Lawrence, Peru, West Bangor, Westport, and Willsboro. The traps will be deployed again in 2019. Growers can receive weekly e-bulletins from Extension and the NYSIPM Program. Funding for the Northern New York Agricultural Development Program is supported by the New York State Senate and administered by the New York State Department of Agriculture and Markets. Northern N.Y., March 20, 2019. New York corn growers can now reap the benefits of the long-term commitment made by the farmer-driven Northern New York Agricultural Development Program (NNYADP) to the research needed for managing the most destructive alfalfa crop pest. Not only does the science-built biocontrol nematode protocol significantly reduce alfalfa snout beetle populations, it also has shown management capacity for dealing with corn rootworm, wireworm, and white grubs. “We are confident that dairy farmers who inoculate their fields with these biocontrol nematodes for management of alfalfa snout beetle or corn rootworm are also benefitting from reduced populations of wireworms and white grub insects,” Cornell University entomologist Elson Shields, Ph.D., Ithaca, N.Y., said. The successful biocontrol nematode protocol developed by Shields and research technical Antonio Testa is now being applied to multiple crops in New York State and in multiple states. More than 500,000 acres in New York State are known to have alfalfa snout beetle infestation. Shields’ research team estimates the total cost of alfalfa snout beetle left untreated on a farm ranges from $300 to $600 per cow. The one-time cost of applying the biocontrol nematodes is approximately $30 per acre, plus any application costs. Farmers interested in applying the biocontrol nematodes through the Shields Lab rearing program at Cornell have only a three-year window to do so. It requires three to five years to totally inoculate a farm to significantly reduce the alfalfa snout beetle populations. The Shields Lab will stop rearing the nematodes as part of its research program in 2021. For more information on purchasing the biocontrol nematodes and information on proper application methods, growers should contact the Shields Lab at least 45 days prior to a planned application. Contact Tony Testa at 607-591-1493 or at28@cornell.edu. Farmers can also work through Cornell Cooperative Extension Field Crops Specialists Kitty O’Neil and Mike Hunter, and Doug Zehr with the Lowville Farmers Co-Op. Farmers interested in applying the biocontrol nematodes for corn rootworm management may be eligible to participate in a Northeast Sustainable Agriculture and Research Education grant for the next three years to receive reduced biocontrol nematode pricing on a limited basis. For more information, contact Mike Hunter at 315-788-8450 or Tony Testa at 607-591-1493 for details. Research has shown that a single application of the biocontrol nematodes can persist for 10 years across an alfalfa-corn rotation and that the nematode population was higher after four years of corn than in alfalfa before the corn planting. 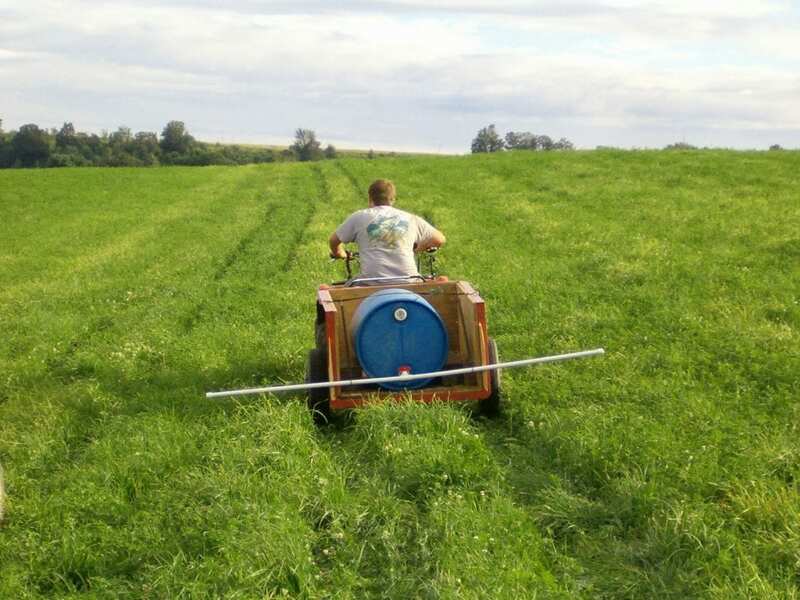 Since 2010, more than 20,000 acres of alfalfa in Northern New York have received a biocontrol nematode application. At least one new nematode-rearing business enterprise was started as a result of the NNYADP-funded research and technical training on the biocontrol nematodes. Custom applicators in the region have also provided nematode application services. The Shields Lab is available to work with anyone who would like to develop a business enterprise to supply nematodes to custom applicators or to farmers who wish to apply them on their own. The NNYADP website at www.nnyagdev.org includes Shields’ research reports on development of the alfalfa snout beetle biocontrol solution, the results of NNYADP-funded field and laboratory trials developing alfalfa snout beetle-resistant alfalfa varieties, and more recent studies of the impact of the biocontrol nematodes on corn rootworm and on applying the biocontrol nematodes in liquid manure. 3 Recording pest issues help with the future! 3 What’s the deal with velvetleaf this year? 5 Planting Winter Small Grains? What are the Pest Issues? Mike Hunter (CCE Northern NY) is finding a lot of true armyworm in grass hay fields in Northern NY. He states the larvae are still very small (1 mm to 1.5 mm) and are in the 1st instar. These armyworm moths most likely have come on the recent storms from the south and laid their eggs in hay fields. If there is a lot in the field you will not see much damage until they reach the later instars. True armyworm larvae in their (6th) final instar will eat 80% of all the forage they will consume. Many times a hay field can look great in the evening and gone the next day if they all reach the 6th instar about the same time. It is best to scout your fields ASAP and look for smaller larvae. Be proactive make sure you know if your fields are infested. True armyworm will feed on grasses, corn and small grains. There are economic thresholds for corn and small grains. seedling: 10 percent or more plants show damage and larvae are still present. whorl-stage: apply an insecticide when there are three or more larvae per plant. Tall corn seldom needs treatment unless the leaves above the ear are also damaged. Most years, natural enemies—various fungal and viral diseases as well as parasites such as tachinid flies—help suppress armyworms. You cannot be sure when and where they occur. Sometimes when armyworms are at very high populations they will march to new fields. They can be in a hay field and move to a corn or small grains field. SPECIAL NOTE: if you spray for armyworm the CROP and True/Common Armyworm has to be on the label! READ THE LABEL!!!!! Check the Cornell Guide for Integrated Crop Management for an insecticide labeled for use.